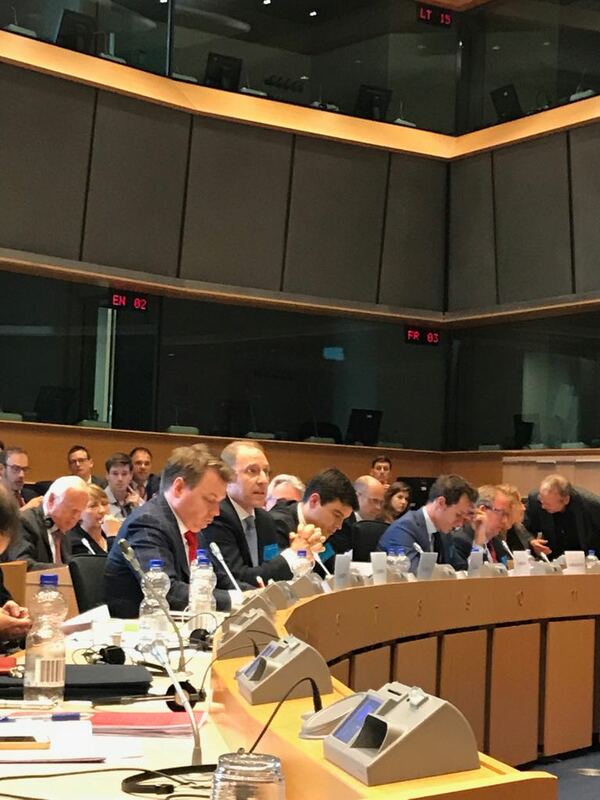 GLMS President, Ludovico Calvi, was one of the key stakeholders convened on June 5 by MEP Bogdan Wenta (EPP, Poland) at the European Parliament in Brussels to discuss the status of the Council of Europe Convention on the Manipulation of Sports Competitions (Macolin Convention). The Convention was adopted in 2014 with the aim to establish an international system of measures against match-fixing. In order to adopt it at the EU level, unanimity in the Council is needed. Although it has the support of nearly all EU Member States, the objection of one single state causes a deadlock.GLMS President seconded MEP Bogdan Wenda and joined his voice with EU Commissioner in charge of sport, Tibor Navracsics, CoE Deputy General Secretary, Gabriella Battaini-Dragoni, as well as key stakeholders, including the International Olympic Committee, UEFA, and INTERPOL, calling for the timely overcoming of the current deadlock.GLMS President highlighted that the Convention is the first international legally binding text to exist in the fight against manipulations of sports competitions, covering all matters that are relevant to the topic. He pointed out indeed that the Convention is not exclusively betting-related, but covers all types of manipulations that impact sports competitions, ranging from on the field of action to beyond the sporting venue, from the athletes and support staff to non-sport related criminals.Underlining that all provisions of the Convention are well-grounded and fully in line with the EU law, Ludovico Calvi recalled that measures against illegal sports betting are necessary for the efficient implementation of all provisions of the Convention. He finally added that the Convention will be soon entering into force anyway, given that soon there will be more states outside Europe that will be ratifying. The entry into force will trigger the Follow-Up Committee which has concrete responsibilities for making recommendations concerning measures to be taken and EU Member-States might find themselves outside of this Committee.Following the end of the event, GLMS President, Ludovico Calvi stated: “I would like to warmly thank MEP Bogdan Wenta for this important initiative, which brought together several prominent stakeholders to discuss such a relevant topic. GLMS, being at the forefront of the fight against competition manipulations, bringing together Members from all over the world, urges for the timely entry into force of the Convention. GLMS and its Members have fully supported the Convention and are already actively supporting states with the implementation of its provisions through their active participation in the Keep crime out of Sport (KCOOS+) Project of the Council of Europe".